A family of five, including three children, was found fatally shot in their Culpeper, Virginia, home in what appears to be a murder-suicide. The bodies of Clarence and Shauna Washington, both 35, and their three daughters -- 4-year-old Olivia, 6-year-old Onya and 13-year-old Omesha -- were found inside their home Sunday night. Family and friends told authorities the couple had been having an ongoing domestic dispute that apparently grew more heated Saturday night. Authorities did not receive any calls for help from the home. 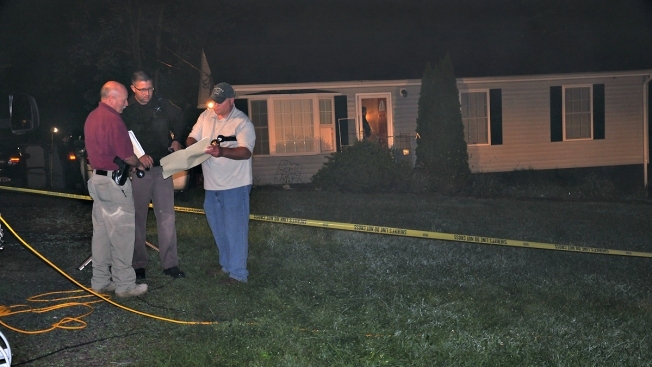 Culpeper Sheriff Scott Jenkins said the death investigation has been preliminarily classified as a murder-suicide. "It's really just sad, it's depressing for me. I've never had any indication there was trouble [with the family]," neighbor Reggie Massie said. The last known contact with the family was around 5:20 p.m. Saturday. They didn't attend St. Stephen's Baptist Church on Sunday, as they usually did. By Sunday night, their relatives had gotten worried, so Shauna Washington's mother, Diane Minor, and a cousin went to the family's home at 14458 Rixeyville Rd. The home's front door was bolted and locked, but Minor forced her way in through a small window. Inside the house, she found the bodies of her daughter, son-in-law and three granddaughters. Authorities received a call around 10 p.m.
One of Shauna Washington's cousins, Nicole Minor-Melvin, said Shauna had wanted out of her marriage, but Clarence didn't. She said she'd never imagined something like this would happen. Shauna was more like a sister to her than a cousin. "My prayers, my pictures of us, our conversations; that was my sister," she said before breaking into tears. "That's my heart, my best friend, my world." Minor-Melvin described Shauna as an incredibly involved, loving mother who headed up two Girl Scout troops at the Daisy and Cadet levels. "There is a need for grief counseling and support for the girls, for their parents, for the various adult volunteers that Shauna worked with," Jennifer Pfister with Girl Scouts of Virginia said. Shauna Washington was born and raised in Culpeper. For 12 years, she worked as a certified nursing assistant at Culpeper Health and Rehab before transitioning into home health care, all while taking classes online. Monday would have been her first day selling insurance at AFLAC. Shauna's family members said Clarence Washington had owned four guns, and the couple had growing difficulties, but added that Clarence was not a bad person, and was a good provider. He worked two jobs: foreman at the Bingham and Taylor Grey Iron Foundry by day, and as a custodian for Sycamore Park Elementary School by night for six years. All three of his children would have been students at the school in the fall. "From all accounts, these girls were delightful," Dr. Bobbi Johnson, superintendent of Culpeper County Public Schools said. "Good students, lots of friends. [Clarence] was a quiet man, but by all accounts a very good worker and the family as a unit was involved in the school division." Shauna's family members said Clarence did not have a criminal history, but they have no doubt he is responsible for the crime. The sheriff said a gun was recovered at the scene. Nathaniel Herr, an assistant professor at American University, said stress can lead to such extreme cases of domestic violence. "[It's] often the spark that ignites something that's already there, these vulnerability factors that bring to the table -- genes, early experiences, things they're taught, and other ongoing concerns in their life," Herr said. Herr said family members and friends should be aware of someone who displays a sudden change in mood, becomes more irritable or more prone to argue or fight -- those can often be precursors to even more serious violence. A prayer vigil will be held at the family's church, St. Stephen's Baptist, Wednesday evening. Friends and family have been leaving flowers and other items outside the home, and neighbors have been sending food to Shauna Washington's mother.